Mordian 7th Regiment: A slight deviation - Last day for OGRE! 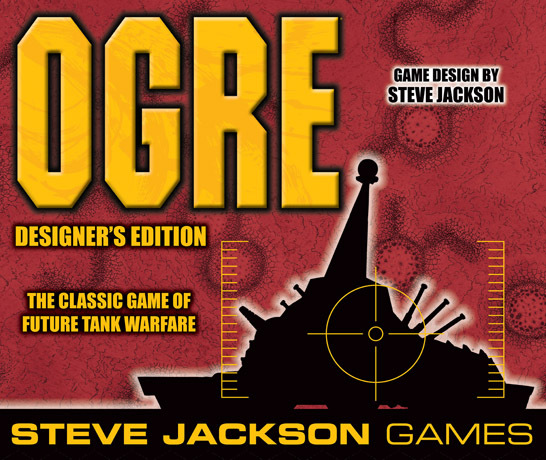 Steve Jackson Games has a Kickstarter campaign going to release the 6th "Designers" Edition of his game from 35 years ago called OGRE. There was a resurgence in the mid-80's when I was in middle school, and it was there that I was first introduced to the nuclear wastelands of the Last War. My science teacher ran the school's Games Club (which ran the gamut from cards to chess to RPGs to minatures) and had several copies of the miniature based "Deluxe OGRE", which was my first introduction to miniature wargaming around '84 or so (several years prior to the release of the 1st edition 40k). 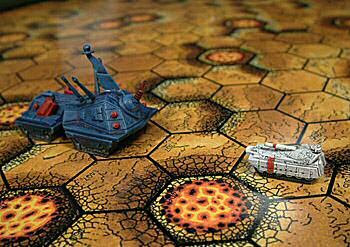 I must have played hundreds of games of OGRE, GEV and Shockwave (the two expansions) during the mid 80's, though once 40k got its hooks into me I more or less jumped ship over to the grim darkness. The Kickstarter campaign ends (as of this writing) in about 26 hours. I heartily recommend at least giving it a look - the game is an absolute blast! For $100 you get a tremendous amount of game - due to the stretch goals being absolutely CRUSHED by the supporters (they are at $730k of an original $20k goal) they've added all sorts of extras to what you get in the box. Not only that, but the success of this project has convinced them to bring back Car Wars in 2013, which I am absolutely delighted to hear! Oh SNAP! 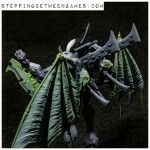 This looks sweet!! In Keith Laumer's BOLO universe, wasn't there a version of Bolos that didn't have the advanced AI that were called Ogres?